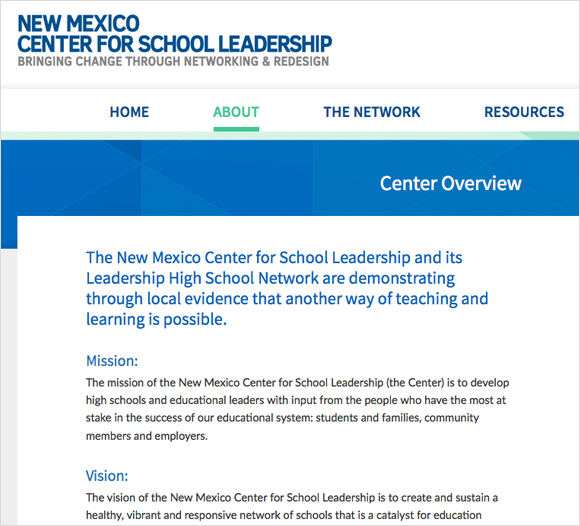 The Center for School Leadership is a leader in developing high schools that are inspired from the community in which they serve. 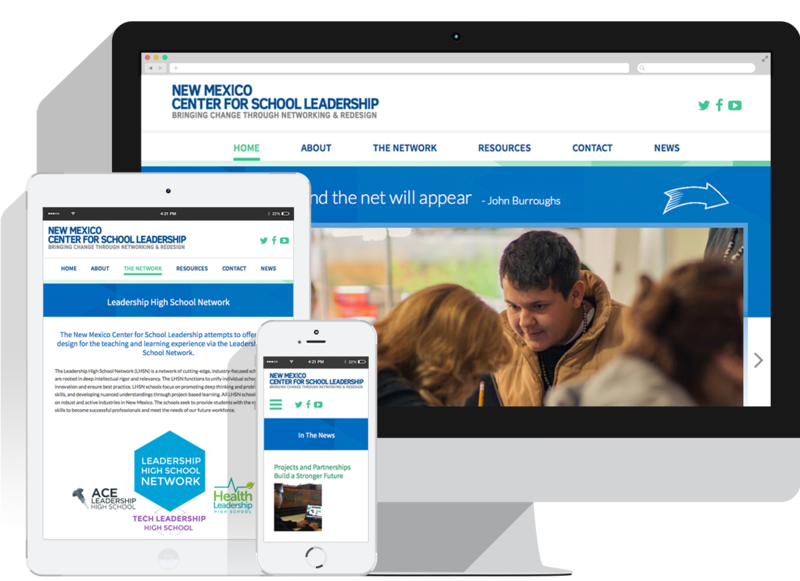 The center brings together educators and local business leaders to build education systems which improve the educational outcomes of New Mexico students. 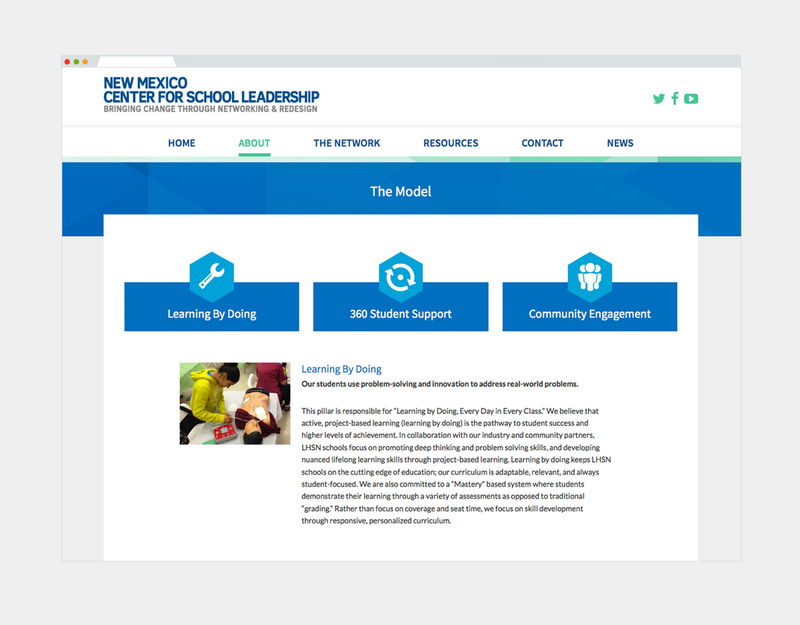 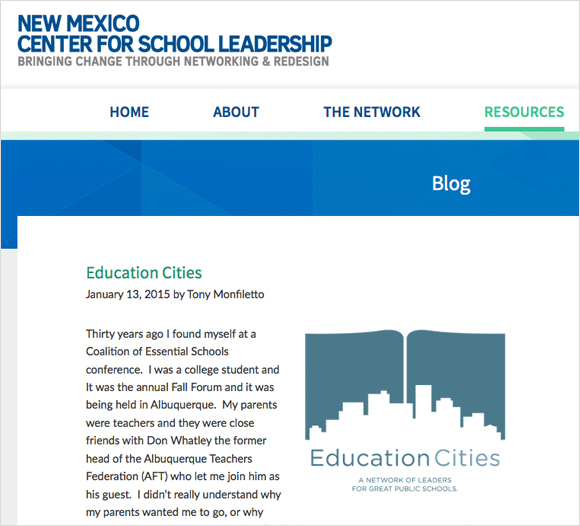 We built a website which conveys the mission of the Center for School Leadership.